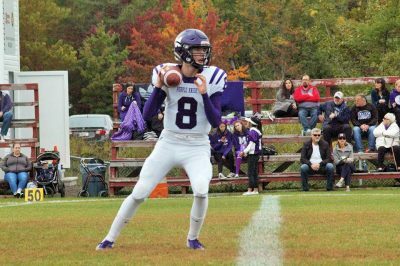 Acadia adds one local commit, one provincial commit and one out-of-province commit to their 2019 class. For linebackers Jaydon King from West Kings District High School and Matt Holmes from Horton High School, as well as receiver Brady Newcomb from Moncton High School, it was all about the vibe of the Acadia Axemen. The 6’2, 210lbs product of Greenwood, Nova Scotia, will be taking kinesiology. King has played for both the Valley Bulldogs (NSMFL) and the West Kings Wolverines (NSSAFFL). He was a Division 2 champion with the Bulldogs and was a three-time NSSAFFL all-star from 2016 to 2018. He was also ‘linebacker of the year’ in 2017 and ‘rookie of the year’ the year before. He was a two-time team MVP in 2017 and 2018. The 5’10, 180lbs inside linebacker played minor league football in grade nine before joining the Horton Griffins (NSSAFFL) in grade ten. While he has played as an inside back for most of his career, he said the coaches have shown interest in moving him away from the box. In high school, Holmes won an MVP award and was defensive MVP and a 1st-team all-star in his conference for 2018. Newcomb, who is from Moncton, New Brunswick, will be taking engineering. Newcomb has been playing football for the past 11 years. 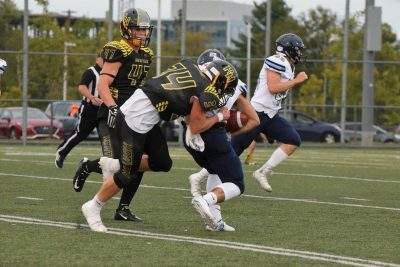 He spent seven in the Greater Moncton Football League and four with the Moncton Purple Knights (NBHSFL). He was named as the Knights’ offensive MVP. Last year he won the ‘Purple Steel Award’ because he missed only five or six practices in his four years with the team. 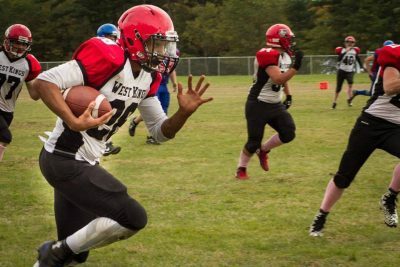 The 6’3, 180lbs athlete said he will start his career with Acadia as a wide receiver with the possibility of moving back to the quarterback spot in his second year.